We can turn anything into soup. 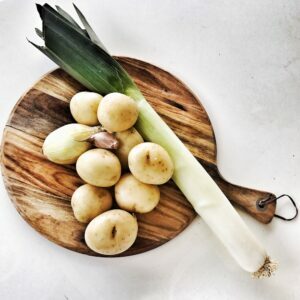 But we have a few favourites, Potato & Leek is just one of them. This baby is creamy and smooth and dairy free. We will be smashing out a whole bunch of other soup options when it gets cooler again.